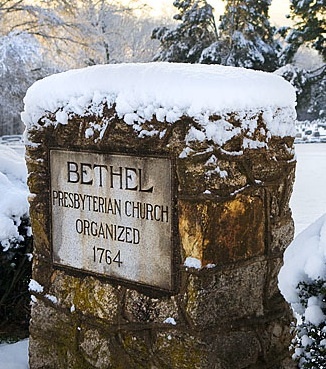 Organized in 1764, Bethel is one of the oldest churches in the region, and is the mother church of many neighboring congregations. In a world that now measures time in nanoseconds, Bethel has been a cornerstone of this community for more than 250 years. Please see the History section of our website for fuller information on our rich history. See US Farm Report Country Church Salute . In 2014, Bethel celebrated 250 years of God's great faithfulness to his people in the Bethel community. Final resting place to numerous Revolutionary War Patriots and Confederate Soldiers. See History for detailed information on the rich heritage of both the church and Historic Bethel Cemetery.